Pizza nights are a unique casual night on the farm where families can explore an organic farm, spend time outside and share food and drink with new friends and old. We have simple seasonal pizzas, a farmers market stand with our farm goods Stoney Acres Beer Garden with our Craft Brews and California Organic Wine, and occasionally seasonal sweets like maple syrup ice pops. Our pizza nights are open to the public. When-We will open for the season Friday, April 20th and every Friday and Saturday until November 3rd. Our hours are 4 to 8:30. Where- At Stoney Acres Farm 7002 Rangeline Rd Athens WI (1 mile directly north of The Last Straw Bar at the intersection of HWY 97 & County road F). Pizzas take about 5 minutes to prepare from order to table but the number of orders dictate the wait. Expect a short wait 10-30 minutes in the early spring and fall, and normal waits of 30-60 minutes during summer. Longer waits of an 1 hour are common mid summer and during very nice weather, especially if you arrive after 6pm. Large parties (8-10 pizzas or 20+ people) should call ahead if possible so we can accommodate your order with those of other smaller groups. 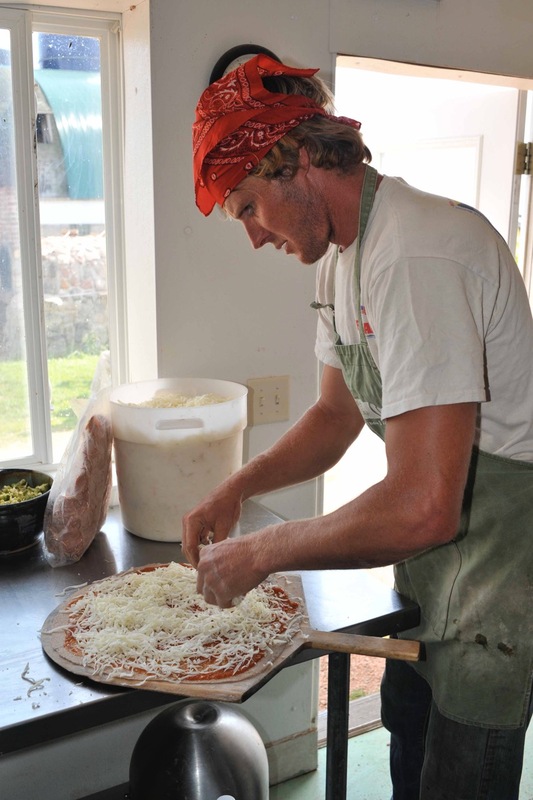 Pizzas are made with ingredients from our farm including whole organic spring wheat, vegetables and meats and feature local cheeses from our area and artisan cheeses from across the state. Drinks- Stoney Acres Brewery is New for 2018! We will feature beers and ciders brewed from Hops, Barley and Wheat we raise. We will have bottled water and Wisconsin sodas and root beers for sale and tap water for free. No Carry-ins please! Other Food -You are welcome to bring other foods to add to your pizza meal including snacks, dessert etc. Seating - We serve pizzas in all weather - rain, snow or shine. We offer rustic outside and inside family style seating and you are always welcome to bring a picnic blanket or your own chairs and or tables. On nice nights, mid summer seating can run out. If you need special accommodations or have someone with a disability or other seating needs we will work to accommodate you - just call or let us know when you arrive. Animals and Activities- We do not have a petting zoo or "planned" farm activities but we have chickens and pigs to visit (and sometimes feed an apple to), cows to see grazing in near by fields, and fields of pasture and veggies to explore. Our farm is your farm, meaning you can make yourself at home, kids can play in the sandboxes, you can bring a lawn game and just relax. No Pets please. 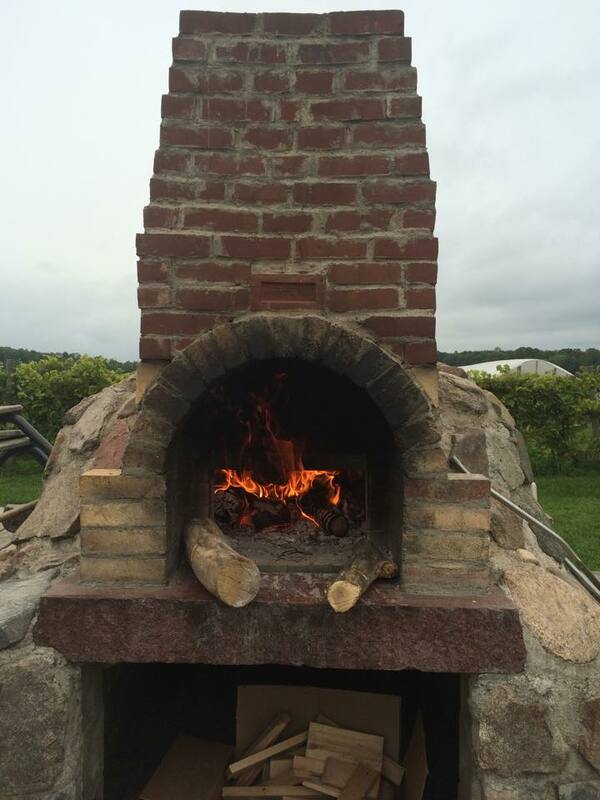 We also have a small farmers market table and you can always watch pizzas being cooked! Private Parties - We offer the ability to reserve space in our finished casual vegetable barn on Friday nights for a private party of over 20 people. Smaller parties can call us with individual needs. We offer a limited number of Private Parties featuring our pizza on on other nights - rehearsal dinners, weddings, birthday and graduation parties. We require a minimum purchase of $500 (25 pizzas) food at that time - we can split this into a common per person change if needed.